The zombies are coming… back. It’s about time! The sequel to the hit action-strategy adventure brings the fun to tablets and touchscreens. Join Crazy Dave on a crazy adventure where you’ll meet, greet and defeat legions of zombies from the dawn of time to the end of days. Amass an army of powerful new plants, supercharge them with Plant Food and power up your defenses with amazing new ways to protect your brain. Battle zombies from all worlds in the front yard Piñata Party mini-game to win big prizes. And that's just the beginning! The future holds many mysteries… also zombies. Lots and lots of zombies. 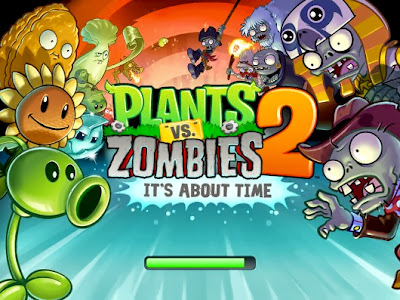 The long-awaited sequel to Plants vs. Zombies hit iOS back in August, and now it's finally available to Android users. Plants vs. Zombies 2 soft-launched in Australia and New Zealand at the beginning of October, but developer Popcap has finally available made the game available elsewhere in the world. Like the iOS edition, PvZ2 on Android moves the series to a free-to-play model. The Android version requires Gingerbread (Android 2.3) and a device with a 1GHz processor and 1GB RAM. Now that the game is out on both platforms, perhaps we'll start seeing expansion packs soon?